So how did you spend your Christmas Roger? It would have been better for my health if I had sprawled on the sofa and gorged on Christmas fancies whilst the kids at Folkestone opened their presents. More is the pity that I had not wrapped myself into my new gorgeous well padded woolly dressing gown. 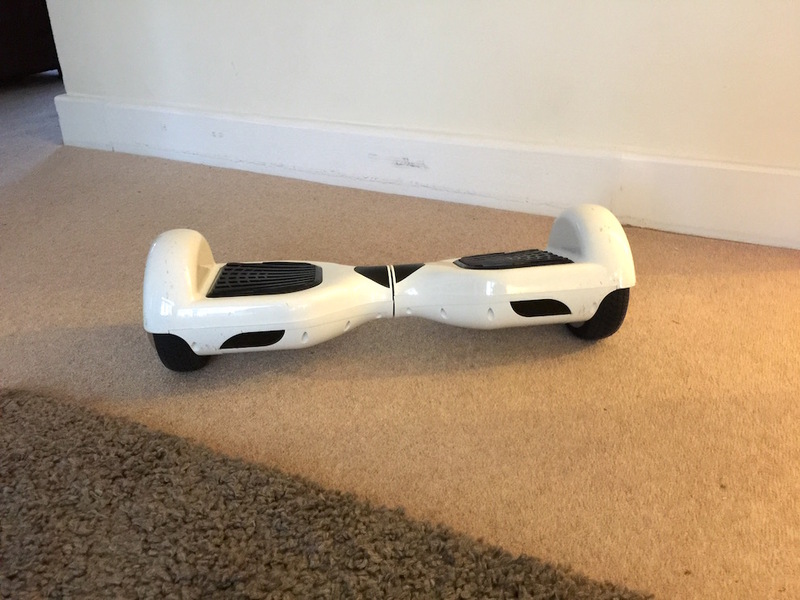 Bebe was silkily gliding all round the house on a sturdy seemingly innocuous electronic contraption. She stood on this narrow wheeled platform and flowed all over the carpet and floor. Little did I know that her easy transit had followed months of practice by this natural athlete. I was feeling aimless, perhaps al little hung over and as usual ‘spare’ as I stumbled into the kitchen to be revived by a coffee. At Christmas I am a fish out of water. Would I like have a go? - only five year old Sonny had not tried it. Not very willing and conscious of my somewhat arthritic ankles I thought I had better put my ‘bah humbug’ Scrooge self behind me and thought I had better! I gingerly stepped on it supported on each side by Lewis and Billy. “Lean forward to move it” When it lurched forward my befuddled mind told me that to lean back would stop it. My world almost came to an end. It is a lethal machine! On swaying back it hurled me to the ground. I cannot find the words to describe its catapult action. My feet rose in the air and like a whiplash hurled me backwards. I pride myself that I fall very well when I frequently stumble in uneven churchyards. This was different. In an instant I was on my back, white and prone on the hard wooden floor. I had slapped down with a very audible thwack! The grown ups rushed in in alarm. Should they call Brenda? So this is what it is like to die. Perhaps for the better if I cannot garden no more. Talk about winded! I did not quite see stars but for a milli-second my vision faded. By some miracle nothing was broken! I do fall very well. I had fallen completely flat on my upper back. No time for limbs to get in the way. If my skull hit the floor it has not been apparent (any contact would have been the back of my head where my skull seems thicker - and if you judged by my more later demeanour you would never know if I had lost any of my senses - but that proves nothing). As I say I fall very well but my gymnastics are not very sensible at 75. I was soon on my feet ready to ‘enjoy' the rest of my Christmas. Steven later told me that last Christmas there was a Facebook phenomenon of dads falling off this contrivance and being rushed to Accident and Emergency. Had he known I might try it he would have never let me near the wretched thing. I think this was 'code' that he could have never believed I was so stupid. We are now back home and when this frost lifts I shall be back in my garden. I shall enjoy New Year in the garden after my narrow reprieve. I hope all readers eagerly anticipate 2017 too. Brenda noted in horror that I am promoting myself yet again. By the looks of my historical hair and choice of shirts I don’t think it will enhance my reputation. Let me wallow in nostalgia. 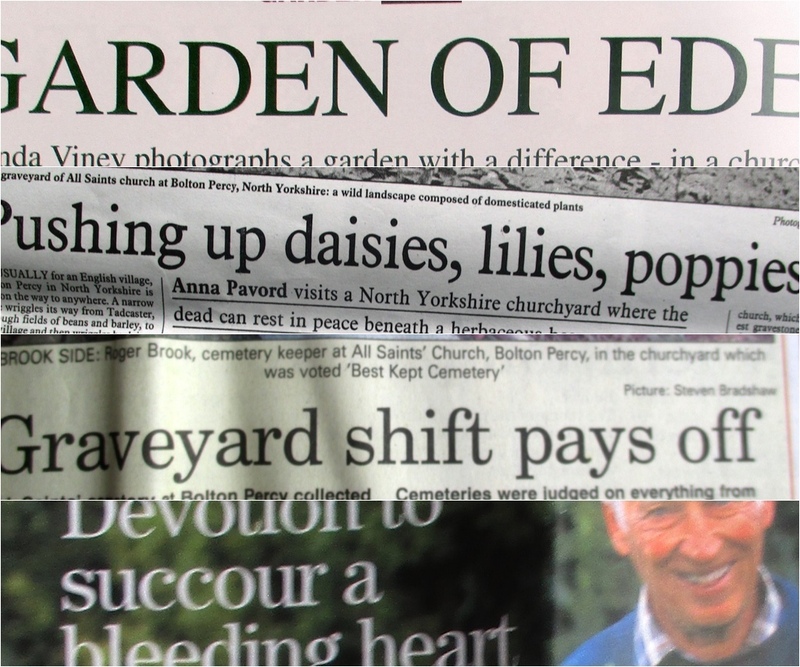 I have been fumbling through my tightly packed box of newspaper and magazine cuttings. They are mainly about Bolton Percy cemetery but some are about my own gardens and dicentras. There was a time when the press beat a path to my door. Gardens in churchyards were somewhat unusual. Perhaps fifty articles were written over a fifteen year period. Nine separate TV features were filmed. 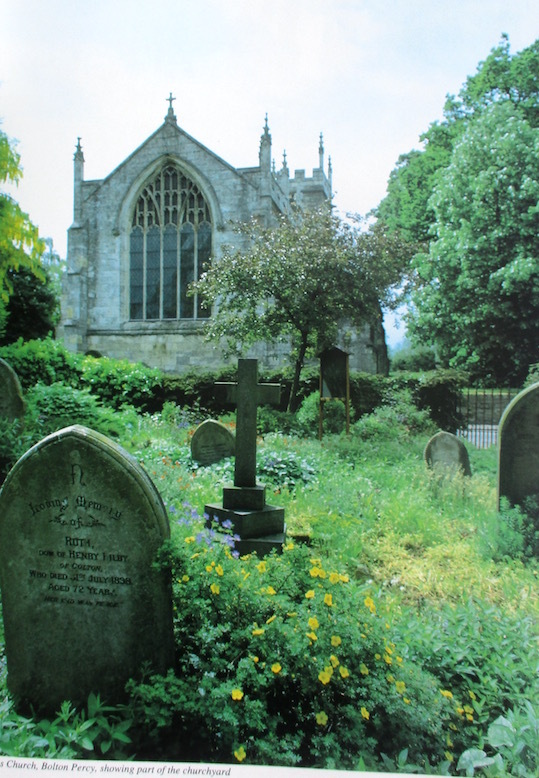 My churchyards are now out of fashion. Apart from over exposure my own feeling is that using glyphosate to direct natural ecologies is anathema to those who are green. There have been some lovely articles written and amazing ingenuity displayed in their titles. 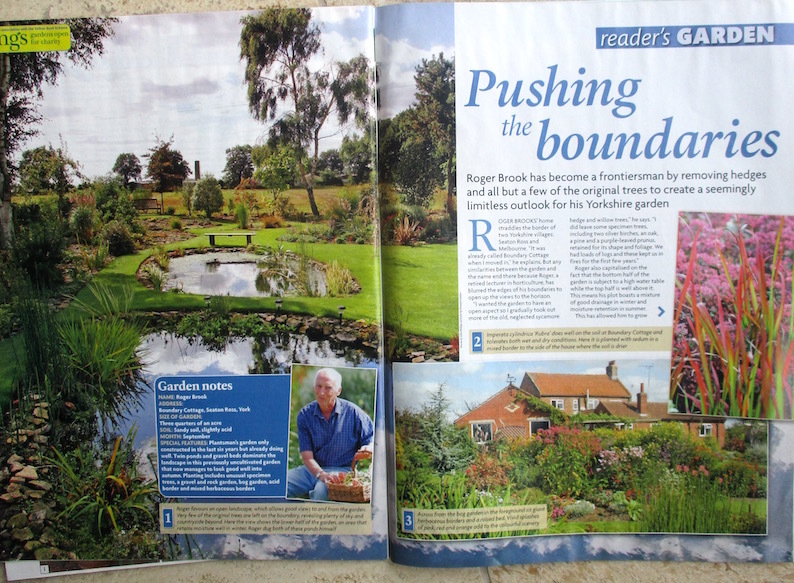 I have been privileged to meet great writers, photographers and gardeners. Two very well known American nurseryman - I forget their names - were on a well publicised busman’s holiday observing UK horticulture and came to the cemetery. One of them, a plant breeder spotted a special heuchera with nice markings in my patch of the Green Finch strain. I vegetatively propagated it and still grow it in my own garden twenty five years later. He opened his wallet and produced a wad of … multicoloured heuchera leaves - and declared that these would be his new introductions the next year. We all grow his heucheras today! I have written before about the launching at Chelsea of Yorkshire writer Joyce Fussey’s wonderful white dicentra. It had been micro-propagated at Askham Bryan college and nurseryman Adrian Bloom came up to see it in my collection. 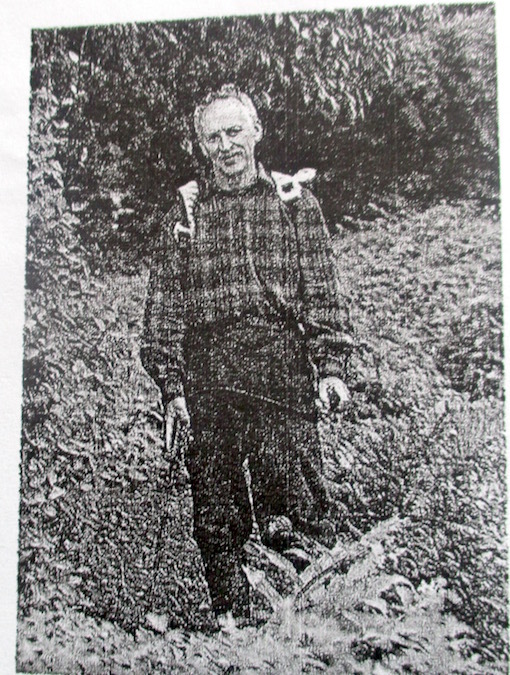 At the time he had made a name for himself as an advocate of dwarf conifers. We walked past a very trendy expensively landscaped garden of conifers which was totally out of character with its village location. I asked his opinion. He just pulled a face. 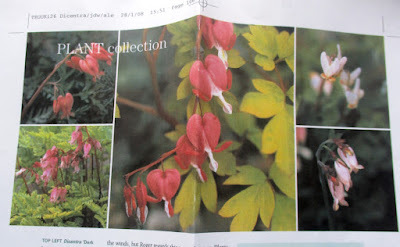 Adrian told me that his namesake dicentra, red Dicentra ‘Adrian Bloom’ did not do very well for him but the red ‘Bacchanal' did very much better. I said with me it was the other way round. He was fascinated by my yellow climbing Dicentra scandens which had also been micro propagated at college. A couple of years later he was selling it and Joyce Fussey’s white ‘Snowflakes’ by the thousands. I know no-one who has been able to keep ‘Snowflakes’ alive - including myself. I immediately phoned back yes! The way TV normally covered the churchyard was to get me talking and later overlay the best of my nonsense to their film. 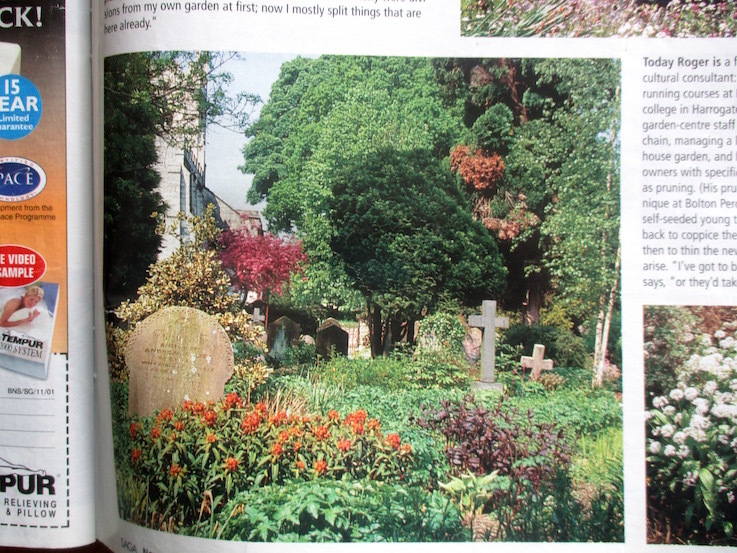 They sat me down in a deck chair in a pretty place in the churchyard and pointed the camera. The very first question was about the deep spiritual meaning of life. I failed that one. I did better on the gardening. In a typical verbose sentence I said “Other than the use of glyphosate that is totally essential to my management, I use no fertilisers, insecticides or fungicides and leave everything to nature. They edited away the first part of the sentence! Anyone watching would think me totally green! It was actually a very nice programme and Chanel Four used it four times! A lady told me her daughter saw me in New Zealand! In to me a lovely sequel twenty five years later an elderly lady approached me at the end of my cemetery lecture. Did I remember that programme? She had been the producer! Part of my nostalgia is things people have said in my gardens. Here are a few. * Two hours a week? what does he find to do? 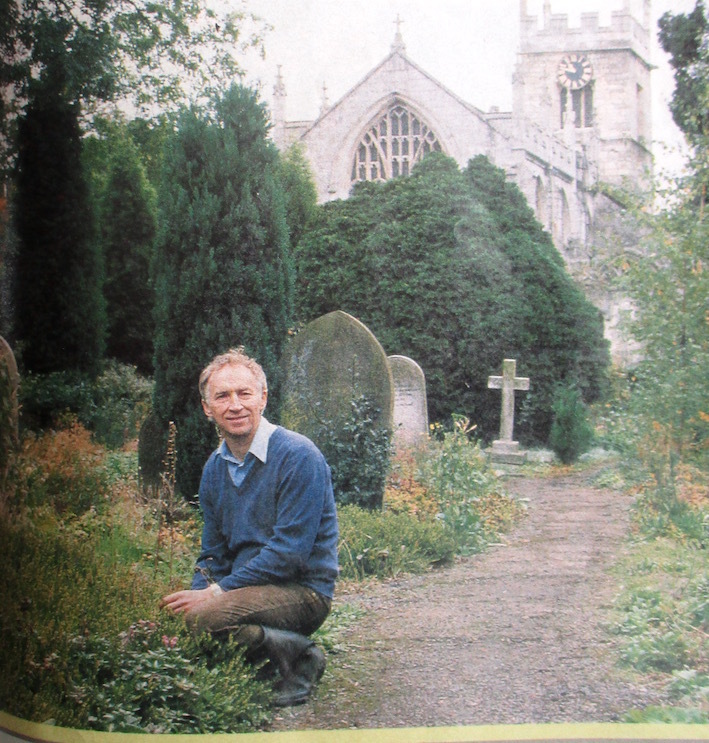 - Churchyard visitor who had no idea of maintenance inputs for a flower garden. In actual fact my all-time average labour input in creating and maintaining Bolton Percy is much closer to one hour a week. * Hello Roger, are you still doing the cemetery? - Bolton Percy resident ten years after I had moved. He imagines the cemetery has maintained itself. * Oh what a mess - Visitor to Worsbrough churchyard. She expects a cemetery to be traditional mown grass. All five acres with a meagre budget and no voluntary help what-so-ever. Similar comments have been made several times - as recent as yesterday! 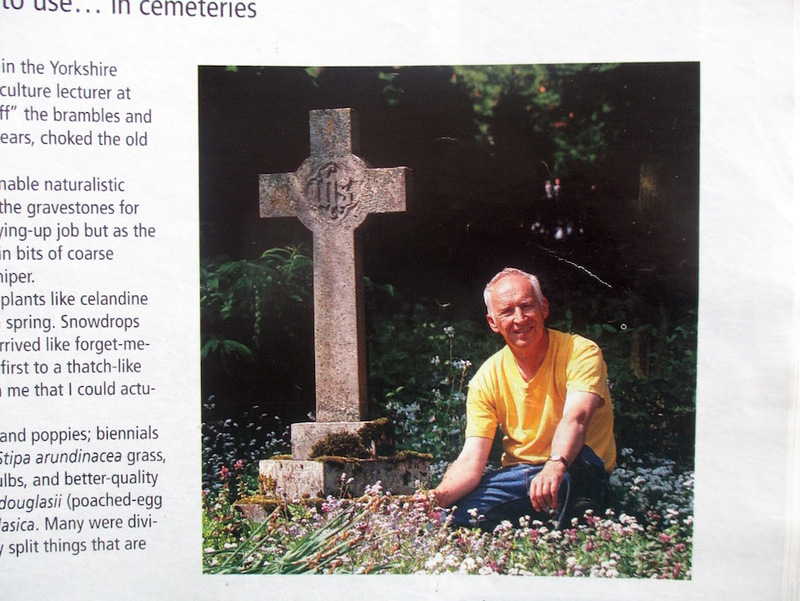 * Glad you have not dressed up specially for the filming - Liz Rigby when visiting the cemetery for Gardener’s World twenty years ago. In actual fact I had! Amateur Gardening came to Boundary Cottage. 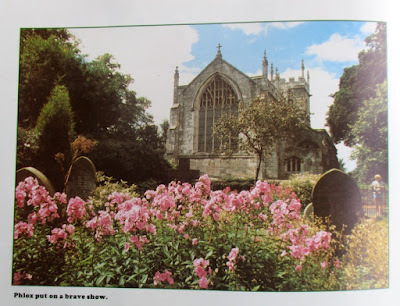 This appeared under the title of ‘Reader’s Gardens’ ! The picture below appeared in a Yorkshire magazine. Brenda later bumped into the house vendor in a supermarket and he had seen the article….. 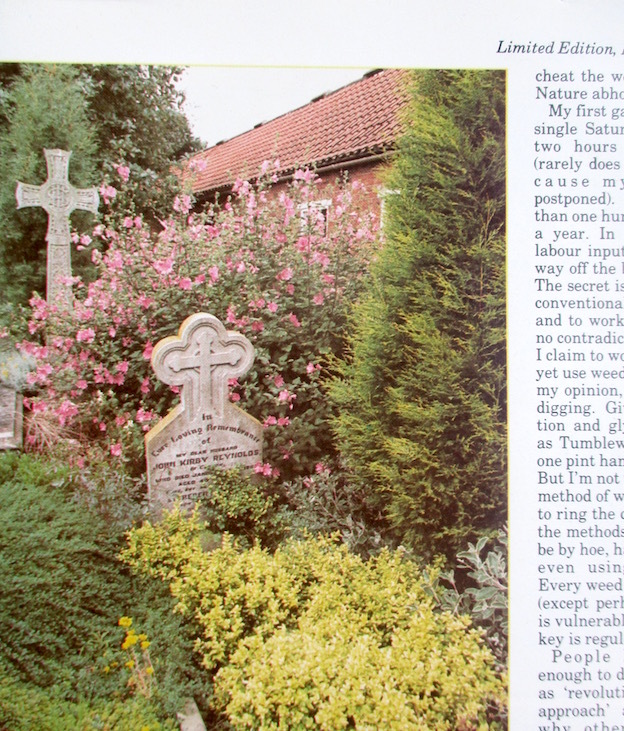 The same organisation gave me a special award in the Cemetery of the Year competition. This picture appeared in the local newspaper and is now on our wall! Two months ago I received an e-mail from the Netherlands. 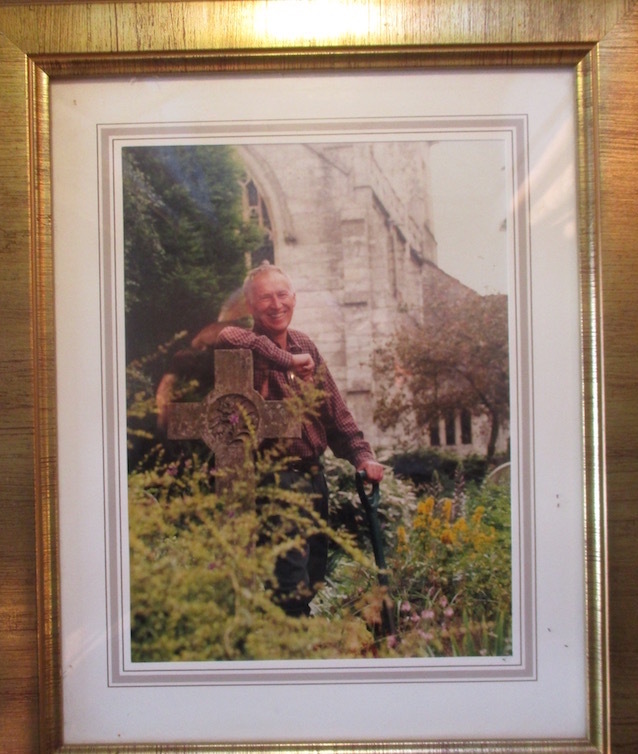 This lovely gentleman had visited Bolton Percy in1989. He had taken pictures of the cemetery. He discovered me when he read my blog! He has compiled a small booklet. It contains his own pictures, my pictures from the blog and exquisite photographs taken by Marianne Majerus just before the Millenium. He had only printed six copies and kindly gave me one. It is really beautiful - I shall always treasure it. We would have loved to have bought more to give to our friends. 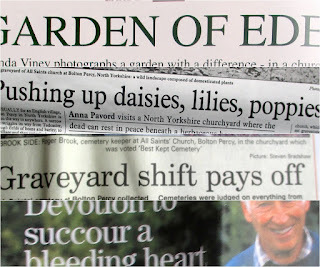 Our friend Cathi runs Yorkshire Publishing who do self published books. It has given us an idea. 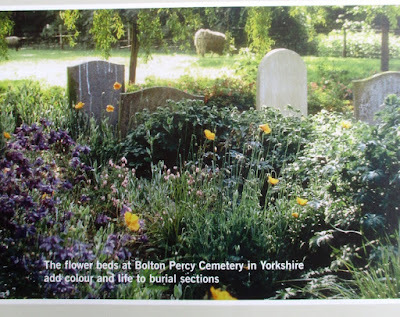 You can see Marianne Majerus’s photos if you go to her website and insert Bolton Percy in her search box. My alternative working title might have been along the lines of how to grow this beautiful plant much loved by bees. Perhaps the two common names ‘Policeman’s Helmet’ and ‘Bee Bum Plant’ say it all. Undoubtably in places this plant is a nuisance and a real menace. The bobby encapsulates the stupidity of legislation against it. The bum bit being the beauty of bumble bees bumbling at the base of balsam flowers gathering nectar. How on earth did such a beautiful plant get such a bad name? It is a weed of disturbed land. Not cultivated farm fields. Farm field receive too much attention.Not established meadow land. The grass is too well established and is usually regularly grazed. Not established dry forest the canopy is too strong. Not neglected sites themselves overgrown with brambles and ground elder - they grow too well. It is true that it is so strong growing that in certain circumstances weeds such as nettles are outgrown - not a bad thing? It is also true that where balsam is eliminated in wild situations coarser weeds tend to replace them. Its natural habitat is described as ‘riparian’ and is the moist land alongside rivers and streams and near boggy places. Balsam is not aquatic and does not grow in the water. Balsam is a weed of neglect. It is weed of stretched budgets where semi-amenity areas, country walks, and set-a-side sites receive inadequate and unskilled maintenance. It grows where stewards of the landscape have long been paid off by years of cost cutting. 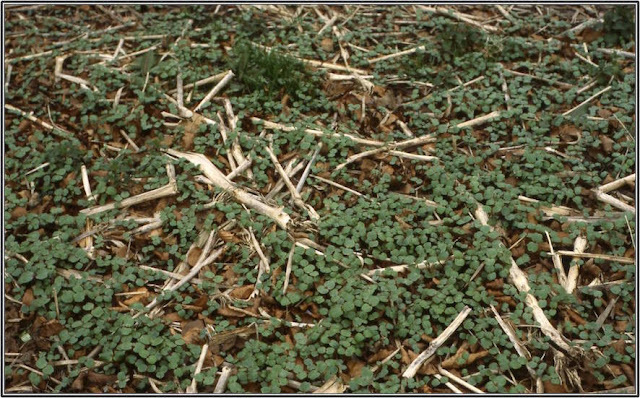 In particular it is a weed of disturbed loose soil. This annual plant must have late Winter vacant ground to newly germinate and start afresh each year. It is NOT a perennial like most noxious weeds. It does not even germinate all the year round like many other weeds; only late Winter and Spring. It is usually a problem on wet sites. It is frequently found alongside rivers and streams. The main reason for this is that river embankments are frequently eroded and open soil is vacant for balsam seed to establish. It is to a degree a vicious circle when strong growing impatiens suppresses weaker growing plants and is alleged to outgrow desirable’ wild flowers. Each Spring strong growing impatiens seedlings have a field day! There is vacant soil and little competition. Impatiens’ secret weapon is copious quantities of strong seedlings germinating all at the same time. Is it fair to blame impatiens for river embankment erosion? It dies down in Autumn to leave erodible patches. It’s quite a chicken and egg situation. What comes first, the erosion or the weed? 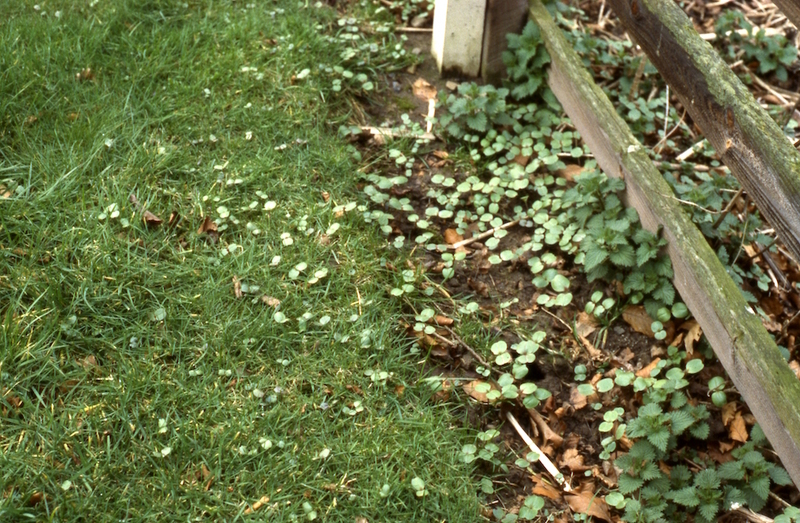 Impatiens throws out its seed in late Summer and Autumn by mechanical dispersal. Not very far! Perhaps five foot or so. Occasionally much more if a gale happens to be blowing. Its normal success is due to the density of self sowing. The odd distant solitary seedling will have a very difficult time and will usually fail to gain a foothold. Nevertheless compared with the slow advance of most noxious perennial weeds, because it is a seed borne plant balsam’s spread is comparatively rapid. At individual plant level, the spread is perhaps two metres a year. On a regional level there are much greater advances. You will read that balsam seed is dispersed by floating down the river. My friend Peter Williams did a test with his students and found that if you put the seeds in a bucket of water they sink like a stone! This does not mean that any plant seed might not be carried by water. Raging rivers will carry almost anything! Impatiens does spread alongside river banks but not as quickly as claimed - but even so, with several years of no action look what you get! In summary Himalayan balsam spreads if nothing is done and when landowners and managers just ring their hands and do nothing it will spread all the way down the river. The spread is only remorseful if no preventative action is taken. 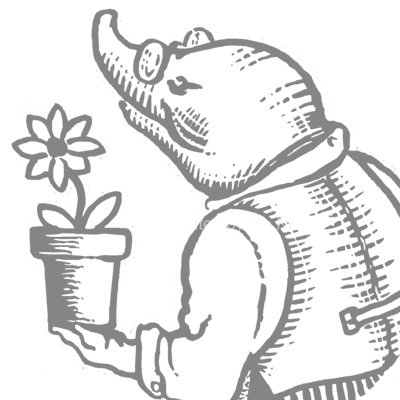 No competent gardener should have this weed - if he does not want it. It is a weed of large public areas where its control is restricted by rules, regulations, ignorance and bureaucracy. It is easy to control and has many vulnerabilities. Almost any common method of garden weed control works! The plant’s main weakness is its annual nature and with the very first frost it dies. Its seed germinates in Spring almost all at the same time. The seed germination is prolific but only in this very first season. Little seed survives to the following year and I have read no reliable reports of seed surviving longer. The key is to prevent this weed ever seeding! From germination you have three months to get rid of it before it starts to prolifically seed. You need to be vigilant, one large missed weed can next year produce 800 strong vigorous seedlings. If you have even one such large plant you are not really trying or you are a good gardener who actually wants to grow a small clump and is confident you can constrain it. Here is a list of suitable ways to eliminate Himalayan balsam. None of them work if you practice them on a single occasion - you are bound to miss some. You need to be alert to their appearance throughout the first (and second) year. Hand pulling. This is very effective but inefficient on large areas. It’s easy to pull out but you will soon tire. In very wet weather if left on the ground the roots will re-establish. It is suitable on public areas for large teams of unskilled ‘volunteers’. 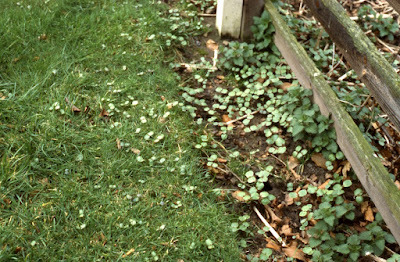 If it is wet weather you need to remove and compost the weed. Whatever your overall weed control strategy be prepared to pull out the odd overlooked balsam or any growing through delicate plant treasures. Hoeing. This is ideal if it is dry weather and balsam is not long germinated. Let the hoed seedlings desiccate and die. Go over again a few days later to find any you have missed. A few weeks later hoe any late germinators. Hoeing larger balsams is fine but starts to become hard work. Don’t hoe too deeply, instead sever them at ground level. There is no need to remove them. Sickle them down. OK you don’t own a sickle but it is one of the very best methods. Bend your back and slice the weed very close to the ground. If you cut near enough the weed won’t regrow and it won’t re-root either. It is extremely satisfying and speedy. If you do not cut close enough to the ground or the plants are nearing maturity there is a small chance of some regeneration. Strim them! Adverse as I am to machinery it works extremely well on open spaces or amongst woody plants. Mow them. Where there is easy access, impatiens does not stand a chance. On a large scale farmer’s mowers cover very large areas in no time at all. Spraying. Coming from me you might expect me to claim it is the very best method. Not always so. Undoubtedly glyphosate kills them but it is very easy to miss seedlings and when bigger it is difficult to safely reach them amongst delicate plants. Don’t let anyone tell you that this weed needs to grow large to take up an effective dose! Seedlings are just as susceptible as larger plants. Like many other weeds if they are flowering when sprayed they will still have time to produce viable seed. It is levelled against impatiens that it diverts the bees attention from more desirable wild flowers. This is strongly disputed and is not very fair. When did you last see complaints about heather, clover and apples? Surely the fact that bee colonies remain strong is in the round far better for nature. It is a gross slander on bees that they pollinate and therefore help spread impatiens and neglect the wild flowers. A bee keeper, tongue in cheek, observed that government legislation that prohibits aiding and abetting the spread of this weed makes him a criminal when his bees carry out pollination! This legislation is ill advised, ineffective, badly framed and fortunately toothless. Penalising gardeners (or bee keepers) makes no sense at all. The horse has bolted. Almost all gardens harbouring this plant received it by natural dispersal and did not plant it. It has been out there since the Victorians introduced it nearly 200 years ago. Why pick out this weed for such measures when very much worse weeds such as nettles and brambles are accepted - even encouraged! 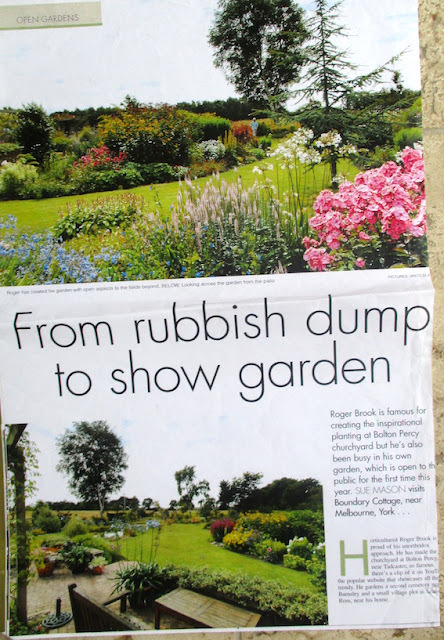 Far better to provide educational information and encourage gardeners to be responsible. 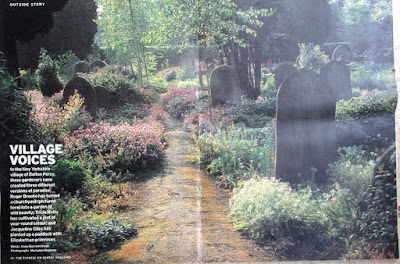 The ditch alongside the graveyard rarely runs, dries out in Summer and does not go very far. As long as I can remember it has hosted a few balsams. For years they had not encroached into the cemetery as my routine weed control is glyphosate spraying. In recent years I have ‘allowed’ a few plants to grow as I rather like them. Only in rough areas such as ivy covered spaces. Three years ago I was complacent and allowed too many to seed. 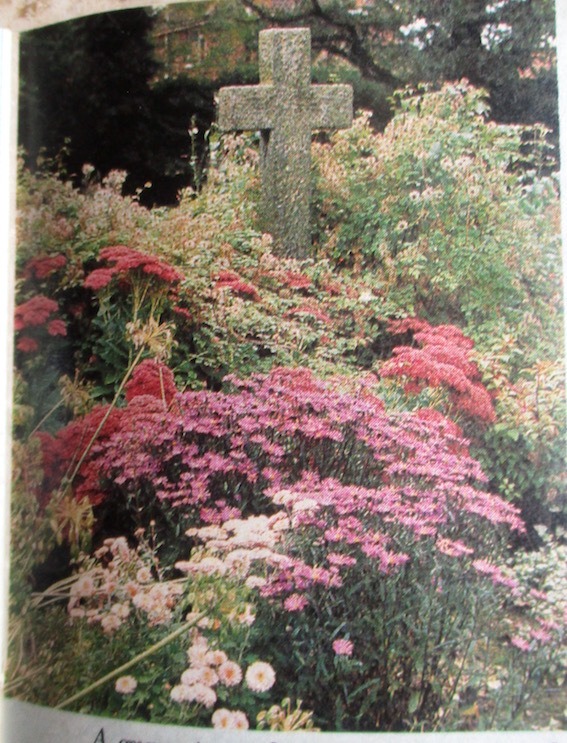 The following year the lower part of the cemetery was over-run by impatiens seedlings. I knew I could handle them and took along my sickle. In an hour I eliminated about half of them. I expended more energy than I do in the same time at Pilates! It was half the time I had available to spray the whole cemetery and was not ideal exercise for an old man like me. Worse I lost my sickle. It was presented to me two months later having been found parked on a gravestone. It was exactly at that time that my helpers - the newly formed team of enthusiastic cemetery volunteers - came to my rescue. As pillars of the church and law abiding citizens they were horrified that their cemetery harboured this weed. With no word from me they banned it. Every plant was removed and certainly none flowered. If any balsam appeared this Spring I never saw it. I don’t expect I shall ever see it in the cemetery ever again. 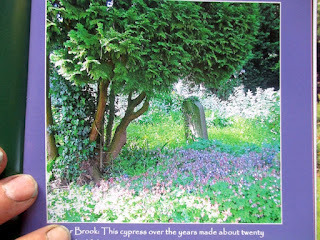 As a service to the village I killed a pure stand of two foot high ground elder ten years ago. There was no room for balsam which was completely absent. Perhaps I was breaking the law in creating a refuge? A ditch exists alongside the plot. It does not run - it has nowhere to go and is blocked at both ends! it meanders a few hundred metres but as a functioning ditch has been ruined by builders and householders. Perhaps it is they that should be prosecuted! Its like a long thin lake that only rises in very wet periods. Sure enough balsam invaded the newly vacant plot alongside the ditch bank. Balsam now looks very pretty in a corner of the plot bounded by the road and confined ten metres away from any water by my own routine spraying. 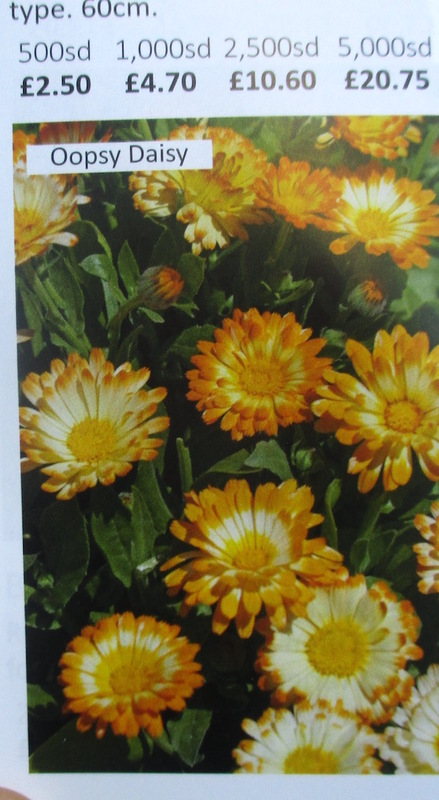 It is mixed in with other wild flowers and garden plants and looks very pretty. It is a haven for bumble bees. Perhaps when they read this villagers will have it confirmed I am a criminal. I will commune with the bees. Last Winter was exceptionally wet and the ditch flooded again. It brought in plenty of featherlight seed of epilobium. (willowherb). The balsam remains snug in its corner and there is no evidence of balsam washed in. Administered by Yorkshire Wildlife Trust it is the only alkaline fen in this part of the country. Peter’s friend Alistair, an international famed ecologist and plant science expert provides help and voluntary advice on its management. I understand that Himalayan balsam is now a problem. Peter offered to ask Alistair about it. Here is Alistair’s reply. Yes, I think HB is one of the few invasive species that can be a real problem, especially in places such as Askham. It can form monodominant stands and even out competes nettles, while the standard fen flora of things like water forget-me-not and skullcap are completely suppressed. Of course it is only competitive where the early spring ground is more or less bare, so it tends to be mainly in woods and on riverbanks. I increasingly see it well away from rivers where it is now probably the commonest riverside plant. It is easily controlled of course, if you have the manpower, but the problem is that if you are on a watercourse it just reinvades from waterborne seed, as at the bottom of my garden. There are a few upsides - it's a good nectar source late in the season and is pretty - but on the whole I'd rather see the back of it. That's wishful thinking of course as it's here to stay. I had a PhD student years ago looking at the root causes of invasiveness, using balsams as a test group. It's odd that the native spp should be so rare while several introduced spp are doing so well but invasiveness is very hard to predict. It is illuminating to read Alistair’s concerned yet relaxed approach. I have chosen this example because it is not Invaded and I don’t know why! The canal runs from Pocklington down to the river Derwent nine miles away. We have walked it all but not on the same occasion! The canal water levels are maintained using parallel balancing streams. Not all the canal is navigable and it is maintained by enthusiastic volunteers financed by public donation. You can come to Melbourne and get a free ride on Sundays. The river Derwent itself does support extensive balsam. Considering balsam has been in the country longer than the canal has existed its absence alongside the canal is surprising. When we moved in to Boundary Cottage fifteen years ago we had an acre of garden to fill. 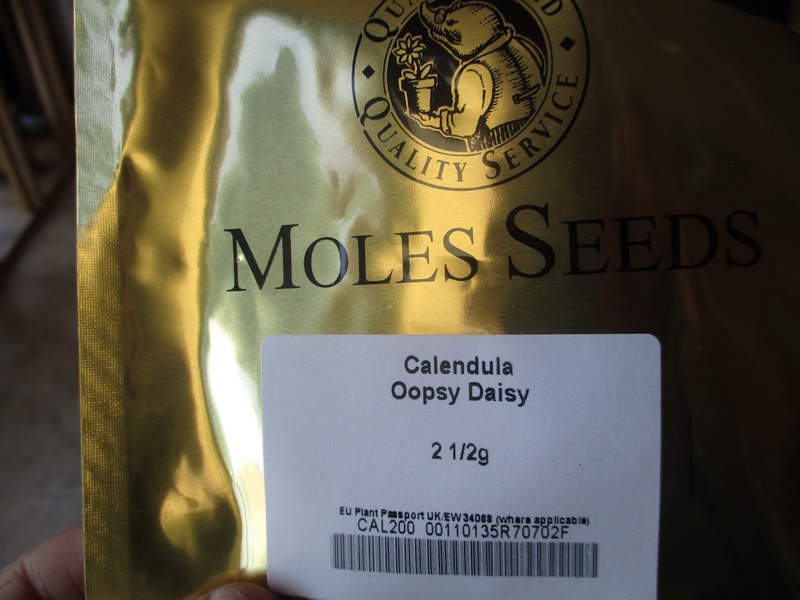 For temporary flowers I sowed some ‘anonymous' seed mixtures! One of the seedlings was a dwarf form of Himalayan balsam. Its is a dead ringer for the real one and I have never seen any reliable reference to it. 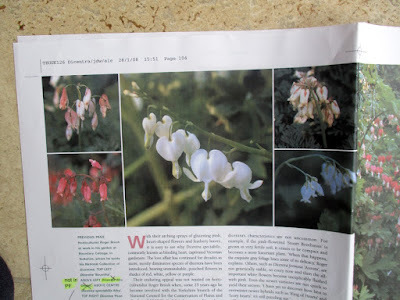 It is certainly not Impatiens balsamina, a known garden form. Needless to say it comes back from seed every year and is now quite prolific - in a completely glyphosate controlled way. 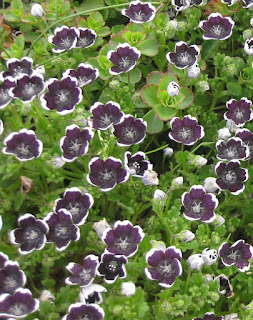 I ‘allow’ it as ground cover in a heavily shaded wet place in my garden where few other plants will grow. It is much admired by visitors. I recently gave a lady some seed for her garden. I await an early morning knock on the door. It came back that our old house Betula in Bolton Percy had sold for a third time. Apparently the new owner was an agronomist and worked for Mole Seeds. It gave me a warm feeling that the new owner was involved with the land. I was even happier when Jim who had put his spies out to alert him to my next visit to the cemetery came round to say ‘hello’. He invited me back for a coffee. It was great to have a tour of my old house and garden. After ten years how they had changed! The house for the better! 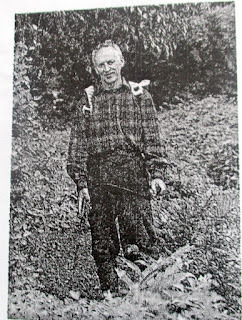 It later emerged that Jim was a keen gardener and recently as a keen birder he contributed to my recent post about birds in conifers. Last year Peter Williams and I visited the annual Four Oakes Horticultural Trade Exhibition near Jodrell Bank in Cheshire and met him on Mole Seeds fine stand. Jim is now a keen member of the cemetery ‘C team’ who help me with cemetery development and maintenance! Mole Seeds was just a vague name to me. Jim informed me that they were substantial seed suppliers to the UK Horticultural Industry but that they also concerned themselves with keen amateurs. 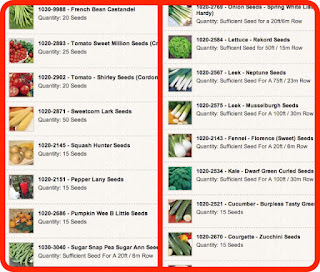 It is very easy these days to buy seeds on the net and most seedsman have excellent and easily navigated websites. Although I still browse catalogues and mark my future buys I now almost invariably place my order web-wise. It is so much easier to order for someone like me who cannot add up long lists more than once and get the same answer! I was impressed and surprised that a large wholesale supplier such as Moles have a ‘Minimum Order’ as little as £7-50 pre-vat. 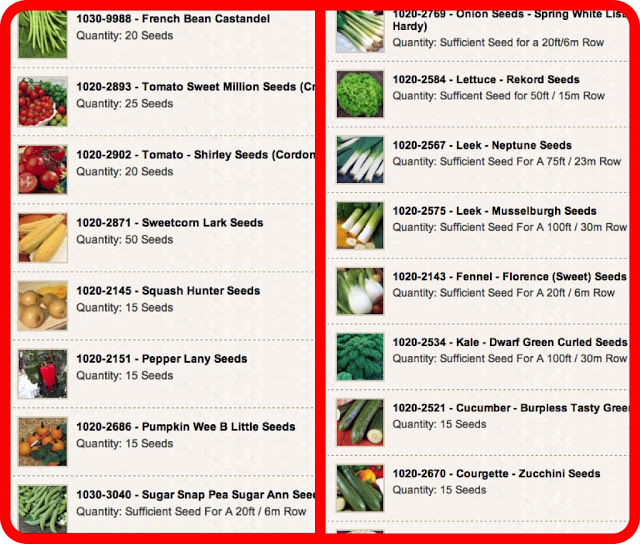 I found that their cheapest seed packets for my kind of seeds - at that stage just vegetables - was between £3 and £6. I have explained before that I am a tight Yorkshireman and that works out a little expensive especially with VAT. I am so mean that I am amazed that seedsman’s catalogues give you space to order more than one packet of an item! One packet is surely enough for any gardener like me? This shows my age! Some seedsman put so little seed in a packet you can price them almost for individual seeds! It also shocks me that some people pay good money to buy actual plants! This might be sensible for things difficult or needing very early sowing in heat but for lettuce, tomatoes and cabbage - well I ask you! Half the fun is sowing your own seeds. 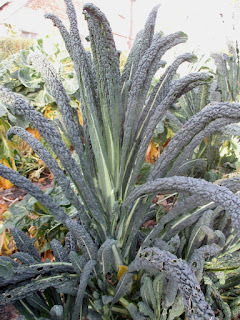 Some people’s so called ‘home grown’ vegetables come very-very expensive and pay little tribute to their personal skill! We love the large Albenga, a disease free Marmande tomato. This year a single fruit filled this same bowl! So why have I deserted the excellent Marshalls about whom I have previously posted? Well they are still on my list and so are Chilterns about whom I waxed lyrical. Chilterns offer such a wide range of rare ornamentals and vegetables and have no rival. For three years now my main order has gone to Mole Seeds and it’s working out cheaper! I now receive their wonderful large catalogue packed with a huge range of seeds and technical data (on their website) about how to grow them. Not so many gimmicky sundries either although professional growers are not immune from silly notions and expensive solutions. Moles’ sundries are limited to clips and labels and include a decent water proof pen. There are various pluses for Mr Mole. He is speedy and efficient. The seed packets are large and metallic. Unopened the seeds probably last a little longer than those in paper packets. Opened there is plenty of room to fold over to stack in a box and keep them for next year. The seeds are sometimes treated with protectant fungicides and similar. 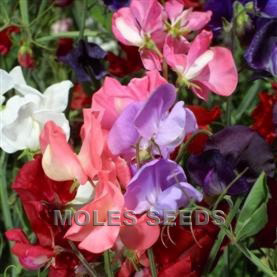 Some packets contain prilled seed which makes small seed easier to space-sow. Like most seedsman the packets often contain inner small paper packets. With certain seedsman it helps to find the seeds which are so few! 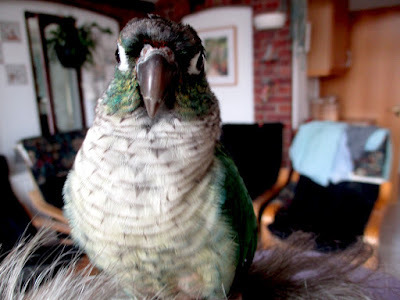 With my velvet friend you always know how many seeds to expect. Some of the seed is even ‘organic’. Suitable for the innocent and those nurserymen who wish to maintain their own organic marketing integrity. The real bonus is the quality, range and quantity of seed. There are packets of fifty F1 peppers and tomatoes and that is the smallest size. You can if you are big, buy by the kilogram! The large number of seeds in a packet is the problem but one that provides its own solution. Keep the seed for the future. Some seed like tomatoes in my own experience will last if cool in a packet for ten years and more. Very few seeds will not keep for at least one extra year. This is why my seed order is cheaper, the packets I buy last me two or three years! Although longevity is botanically extremely complex, for practical purposes as long as old seed is viable it will give plant quality as good as fresh seed. Until someone shows otherwise - in these days of epigenics - I can say with confidence that the plants are genetically unchanged! With age the main change in nurseryman’s seed is depletion of its stored resources. If within widely circulated storage times the only effect you will notice is a slight fall off in percentage germination. 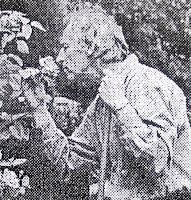 My old colleague Bruce Rigby used to give his students a handout of a long traditional poem about gardening lore that amusingly and memorably reviewed seed storage times. I have spent several hours trying to find it on the internet. I would be immensely grateful if any reader, perhaps an old student can help me! There are of course several useful lists that you can google. For what it’s worth I provide my own summary. Parsley, parsnips and perhaps even onions will be a bit of a gamble. These represent two families, the umbellifers and the Alliaceae that do not tend to store very well. No more than two years for leeks and three years for carrots. I tend to shy away from storing large seeds. Published lists do never-the less give peas and beans three years. I felt I was pushing the boundaries to sow one year old sweet corn this year but it did very well. To my surprise the cucurbit family including marrows, squashes and cucumbers are good for four or five years. The above recommendations are very conservative. If you have very old seed that looks ‘interesting’ just give them a try. If it’s something common harden you heart and throw them away. It was foolish of me to originally limit myself to vegetables.The Mole catalogue has a fat 160 pages of flowers. Everything that possibly can be raised from seed and that can be found at a garden-centre will be there. 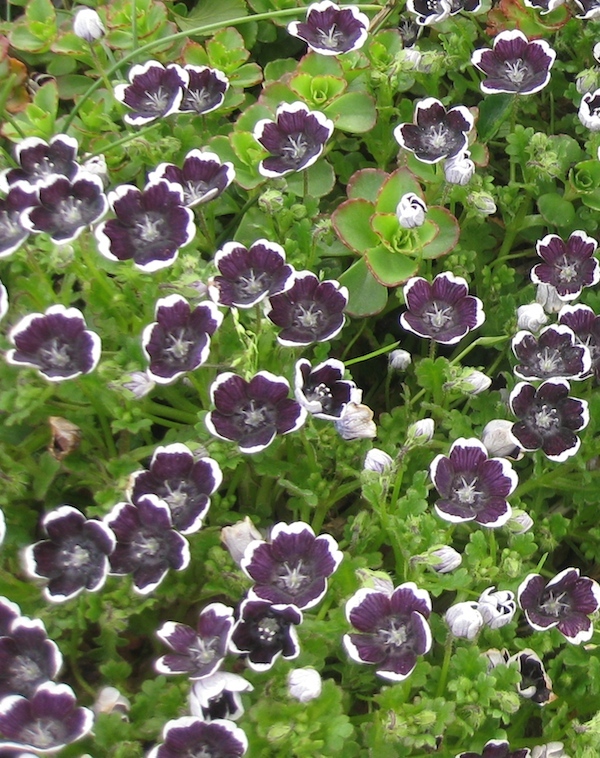 There is a fantastic range including many little found treasures such as Nemophila ‘Penny Black’ that I recommend to naturalise in the garden. 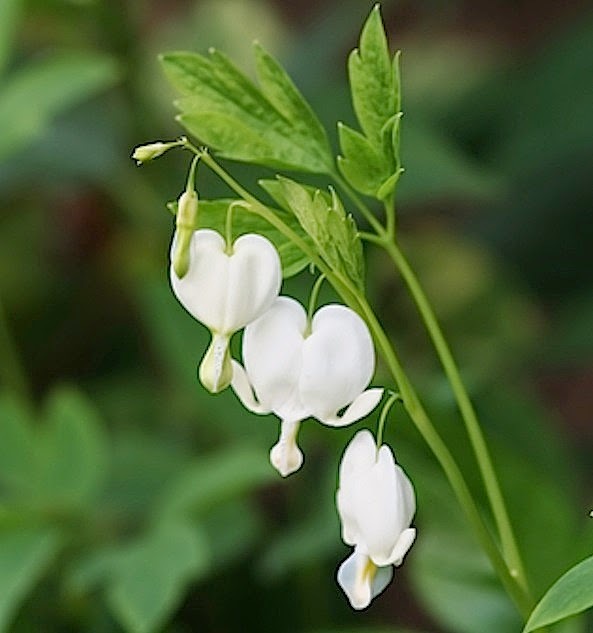 As holder of the National dicentra collection I don’t need true breeding Dicentra spectabilis and Dicentra spectabilis alba but at £4 for 25 seeds you might. 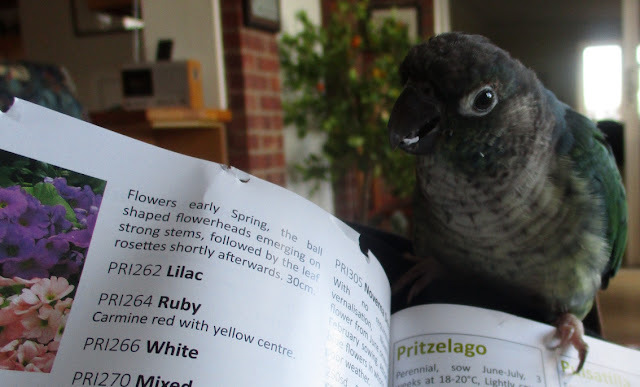 The main difference to catalogues with which you might be familiar is that they offer a wider range of cultivars rather than species. They offer perhaps only a dozen different primula species but for primroses and polyanthus and hybrids the choice is large. The same for pansies and violas and many more. I was spoilt for choice when I bought my sweet peas. There is plenty of seed for the flower arrangers among you. I indulged in everlastings such as statice and limonium last year. They have a huge range of ‘Throw to Grow’. You can also buy named wild flowers in very generous packets. It was when I turned to the flowers that I realised how cheap some of their packets can be. In the flower section some of the prices fall to £2. They have a very wide range of fantastic ornamental grasses. If your taste in grasses is limited to your lawn you can buy them too - in mixtures. If you want individual lawn-grass species and cultivars you will have to wait for my next but one post! All the seed packets you daren't throw away. 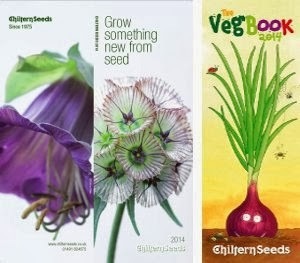 Seed Catalogues cometh as year doth end. Live long like a farmer who knoweth good ale. Three years for certain maybe five or four. Then fillen ye form that your seedsmen doth send. For novelties plentie, there's money to spend. So pay them dollars as I paid in cents.